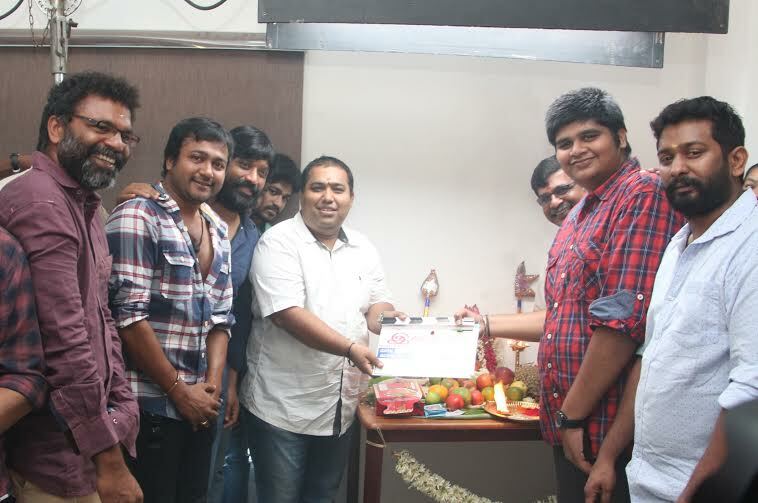 The shooting for Karthik Subbaraj’s Iraivi officially started today in Chennai with pooja. The team started with filming the scenes featuring Bobby Simha and SJ Suryah today. Hot and happening Tamil stars Vijay Sethupathi and Anjali have paired for the first time in Karthik Subbaraj's Iraivi. Iraivi ensemble cast includes Bobby Simhaa, Karunakaran, Kaali Venkat, SJ Suriya and others, who are part of Karthik Subbaraj's Pizza film. Jigarthanda filmmaker is still in search of three more leading ladies. With Vidiyum Munn and Irudhi Sutru fame Sivakumar Vijayan panning the camera, Santhosh Narayanan is dealing with the tunes and National Award winner Vivek Harshan is editing, RK Vijay Murugan for art direction. CV Kumar's Thirukumaran Entertainment and Studio Green jointly producing Iraivi crew includes cinematographer Siva.